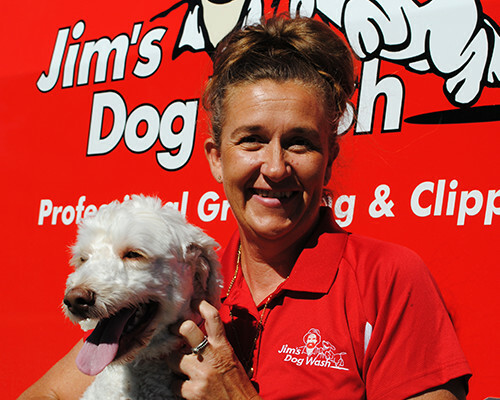 My name is Heidi Dickson and I operate a Jims Dog Wash Franchise in the Beechboro and surrounding suburbs. What an amazing journey it has been. I have come from a background of owning and operating my own business, spent some time in the Airforce and also time doing Fly in Fly out work in the North West of WA. I was looking for a change of life and career and stumbled upon a Jims Dog Wash Franchise business ad – it was a light bulb moment! I just knew that this is what I was meant to do. The Jims System is well set up and designed to assist you in every way until you have settled into your new role, the extensive support network is invaluable. Personally it offers me a work/life balance that I had not been able to find elsewhere. I have never looked back. I love every day and I love my new career!